One of America’s long-time favorite game shows, The Price is Right, is also a long-time showcase for ImportAdvantage’s TV lift cabinets. In the last few years, an ImportAdvantage TV lift cabinet has appeared on the game show seven times, including a special appearance in the highly coveted and iconic “Showcase Showdown.” You can view a clip of The Price is Right featuring the Banyan Creek TV Lift Cabinet on the ImportAdvantage home page. The Price is Right, currently owned by FremantleMedia, is one of the most popular daytime game shows of all time and is viewed in more than 30 countries around the world. 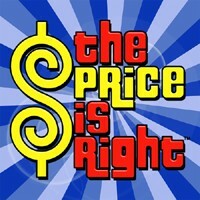 In 2008, The Price is Right was the #1 daytime game show in the United States, with a peak audience of 6.9 million viewers. Some lucky contestants on the show have walked away with a premier TV lift cabinet that will be able to suit any decor in their homes, and they’ll know that ImportAdvantage is the industry standard for quality, shipping, set-up and service. You, too, can feel like a winner with your own TV lift cabinet by ImportAdvantage! To view the entire line of pop-up TV Lifts, please click here.